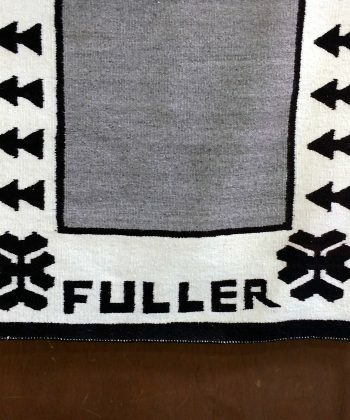 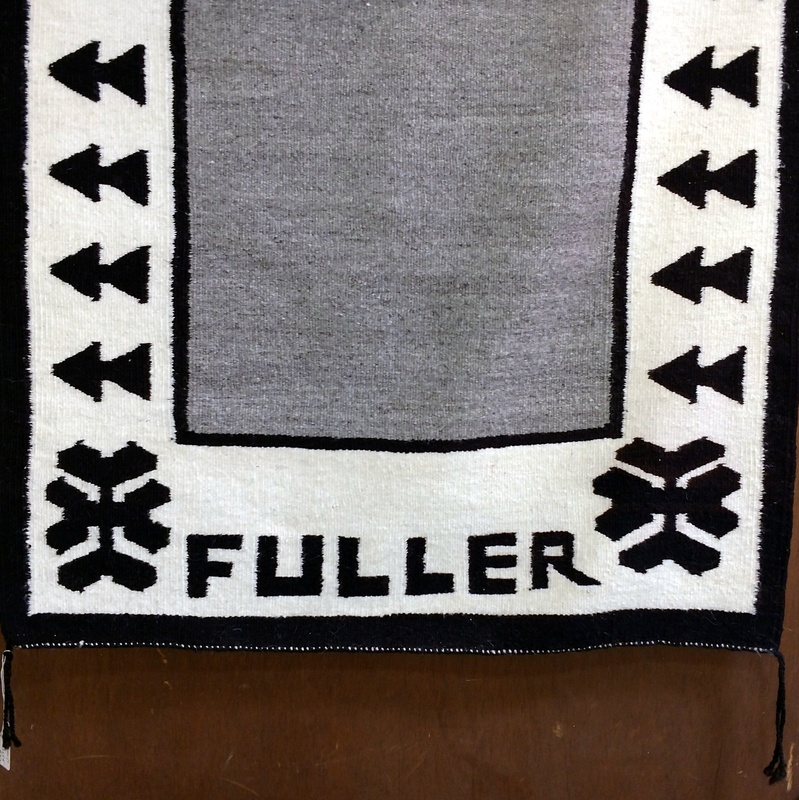 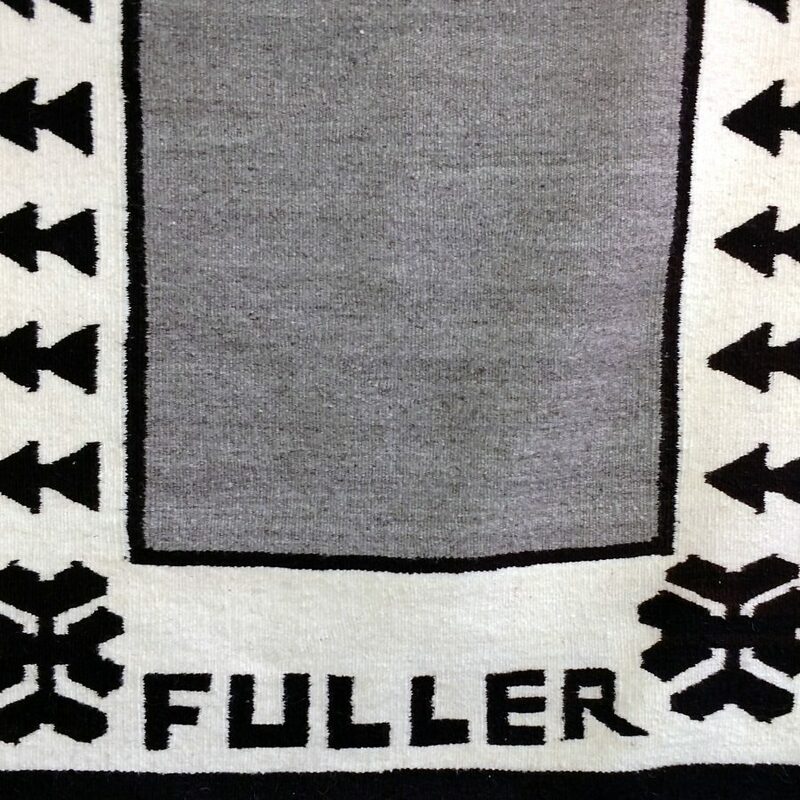 By definition, this saddle blanket or rug, is a figural weaving with text, “FULLER” is woven in across the bottom. 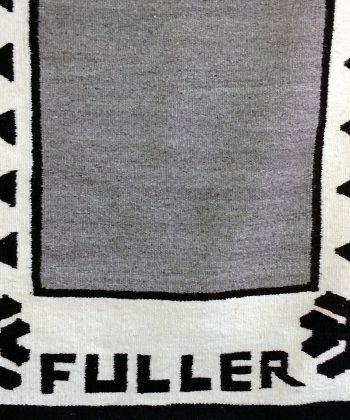 Many pieces with text, names, businesses, etc., were custom made by Navajo weavers. 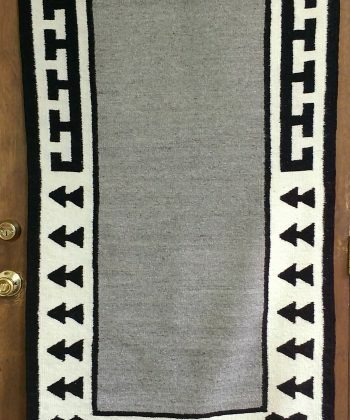 Handspun and handwoven wools, measures 62″ long x 30″ wide.